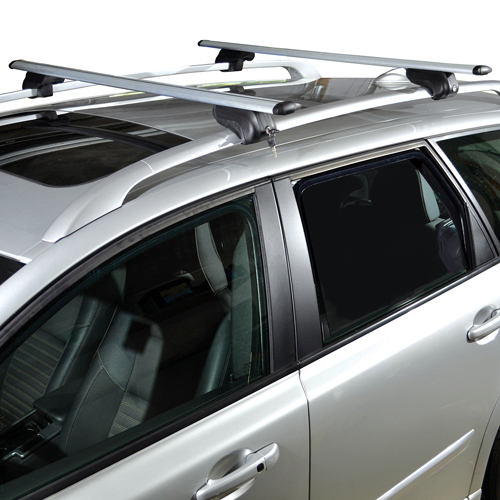 Malone's Roof Mounted Car Racks are an affordable crossbar rack alternative, designed to attach to factory raised railings. Malone Crossbar Racks are available in 2 designs: Airflow Silver Aluminum Aerodynamic Crossbar Racks and Universal Black Vinyl Coated Steel Square Crossbar Racks. 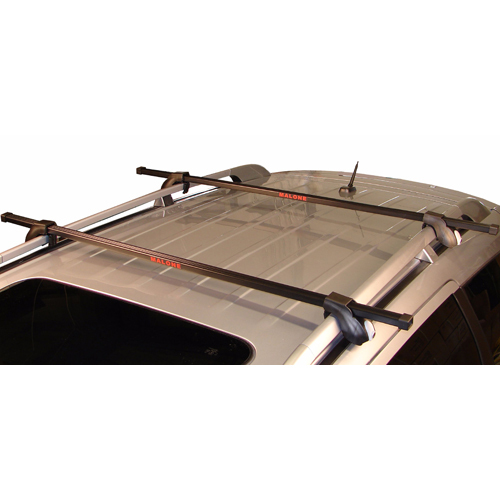 Malone Car Racks for Raised Railings offer a secure alternative for transporting kayaks, canoes, bikes, stand-up paddle boards, windsurfers, surfboards, roof mounted cargo boxes and other long, lightweight items. Malone Raised Railing Mounted Car Racks sit on top of, and clamp around, factory raised railings. Installation is simple and quick. Once installed, attach a Malone Kayak Carrier, Malone Canoe Rack or a bike accessory, load your gear, and have fun. Malone Car Racks are rated to carry the maximum weight rating of your factory installed raised railings. Malone Car Racks include the following: 2 crossbars, 4 adjustable rubber padded feet, 4 rubber spacer blocks for smaller factory side rails, 4 locks, 2 keys.